A nice album with many interesting pictures depicting the daily life of the Flak soldier. 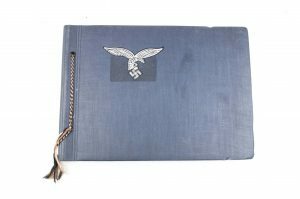 The front of the album is nicely embossed with the pre-war “Droop tail” Luftwaffe decal. The owner of the album knew its way around a camera which resulted in a album with nicely composed photographs. Really a nice photo album with good pictures! A nicely 1937 dated Czech straight E-tool. The complete stock of Czech uniforms and equipment was taken in by the German army at the beginning of the occupation in 1938. 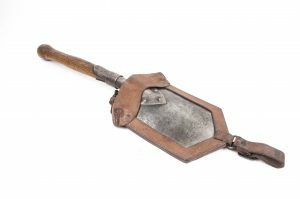 A large portion of these shovels was straightly re-issued into the Waffen-SS which up till 1940 could not rely on the issue of equipment through the OKW. Hence you can see these a lot of pictures of the Waffen-SS in the early campaign. These shovels where used and issued within all branches of the Wehrmacht and Waffen-SS from 1940 onwards. I’ve included a few pictures of these shovels in German use. A great unusual spade with cover in great condition perfect for a mannequin! 20 Italian buttons as factory applied on late war German Zeltbahns, Italian camouflage coveralls, Erbsentarn Keilhosen and many other garments! 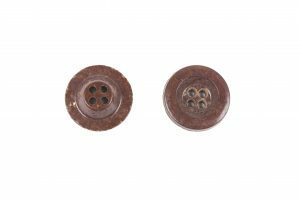 These bakelite buttons are all in great condition and have a nice deep brown colour. I have a few sets available. 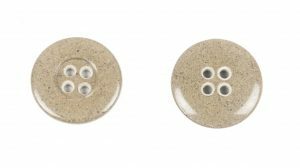 20 Urea (artificial resin) buttons as factory applied on tropical Gasplane pouches, coveralls and many other garments! These Urea buttons are all in great condition and have a nice deep tan colour with dark brown spots. These are great spare buttons! 20 Italian buttons as factory applied on late war German Zeltbahns, Italian camouflage coveralls, Erbsentarn Keilhosen and many other garments! 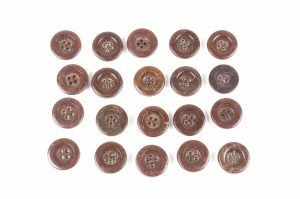 These bakelite buttons are all in great condition and have a nice deep brown colour. The price is for 20 buttons including worldwide shipping. 20 Urea (artificial resin) buttons as factory applied on tropical Gasplane pouches, coveralls and many other garments! These Urea buttons are all in great condition and have a nice deep tan colour with dark brown spots. 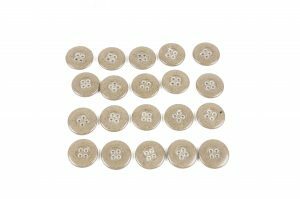 A great original set to have as a spare, these paper buttons where used on numerous items! For instance; most if not all German service shirts have pressed paper buttons. These where also used in the sleeves of hooded smocks and winter parkas. The size of the buttons is 14 mm. A complete card with 72 buttons for 25 euro including worldwide shipping. Original “last ditch” Feldgrau m43 cap buttons. These are mint, unissued M42 / M43 “Einheitsfeldmütze” buttons. These are executed in “Feldgrau” and imo of the last wartime model. I’ve never encountered these before! Two unissued M42 / M43 “Einheitsfeldmütze” buttons. These are marked “42”. The colour black is meant for caps for members in armoured units. These buttons are very hard to find! The price includes standard shipping! These small hooks are always missing in m36/m40 reproduction tunics. They are not belt hooks but keep the belt hook support straps in place. Every m36/m40 tunic had two of these sewn to the inside. I will pick out matching sets when I ship them. The price is for two hooks! Copyright © 2019 – fjm44.